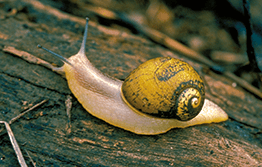 Green snail can significantly damage a wide range of plants, including most leafy vegetables, cereal crops, lucerne, lupins, pasture grasses and native plants. It’s established in areas around Perth in Western Australia and in Victoria. If you think you have seen green snail anywhere else in Australia, call 1800 084 881. Green snails are smaller than the common brown species and have an olive-green shell and white flesh. They can breed very quickly, resulting in up to 1000 young snails per square metre. The damage caused by green snail is similar to that of common garden snail, feeding on the surfaces of young leaves, often only penetrating shallowly and leaving a ‘windowpane’ effect. Older snails eat holes in the leaves and may reduce them to veins only. During summer (December to March), green snails lie dormant below the soil surface and do not pose a risk. The pest is spread through the movement of infested host plant material eg. 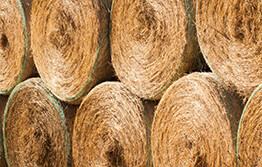 in hay bales, nursery stock or harvested vegetables. Plant material may not be moved out of the infested area.